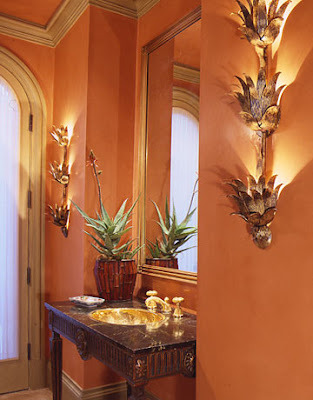 I first saw these David Iatesta Tole Flora sconces at the Spring '07 Washington Design Showhouse in the Palm Beach powder room designed by Tricia Huntley. 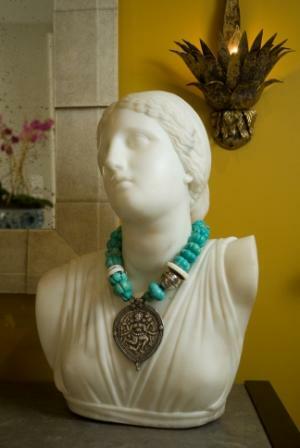 They make an intriquing design statement and provide flattering light to boot! 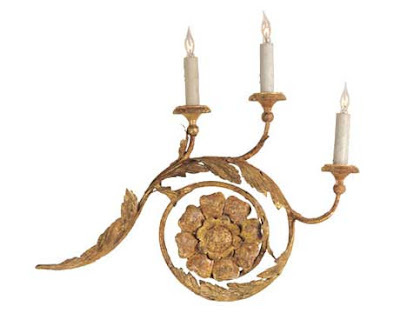 Interior Design: Tricia Huntley/Huntley & Co.
Rotolo sconce, Love this one too! In addition to sconces, David Iatesta offers a full line of furnishings and accessories. pve - thanks! I'm still trying to figure out if I can get rid of all the lines under the links. 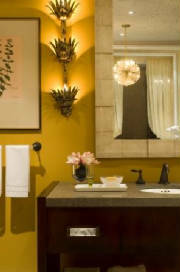 I've been obsessing about sconces lately. Flipping thru tons of magazines and web sites "window shopping". These are gorgeous. Great new look for your blog! 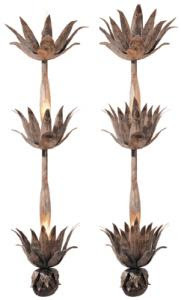 i have two of these david iatesta flora sconces i would like to sell if anyone is interested.